Leira has both parents but his father does not provide support. His mother provides casual labor to get some money to support the family but this is always not enough and they need help. Leira is healthy and has not complained of any health issue for a while. Leira stays with her mother who brought her for support. Leira's mother is not financially capable to look after her and her siblings. The family is struggling with sufficient food. 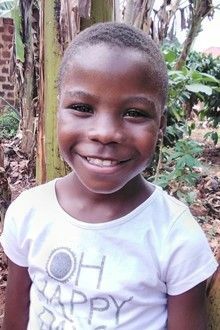 Leira lacks warm bedding, clothing and has not started school due to lack of scholastic needs. Tell your friends Leira needs a sponsor!